Now you can join Australia’s best known astronomer on a unique tour to unravel the mysteries of space and time. Take in primitive observations in ancient Peru and the world’s largest atom-smasher in modern day Switzerland. See Pluto demoted from planetary status. Go behind headlines to find the truth about the Transit of Venus and the Higgs boson. Meet some of science’s most colourful characters. 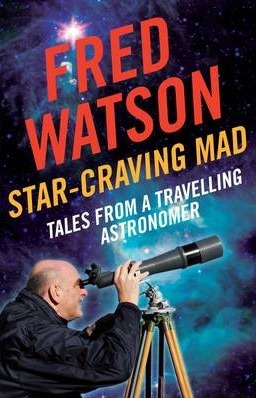 In this light-hearted, informative and engaging book, Fred travels to some of those far-flung destinations as he weaves the epic story of humankind’s growing understanding of the Universe. It’s a grand adventure and the Professor is a witty and knowledgeable companion.